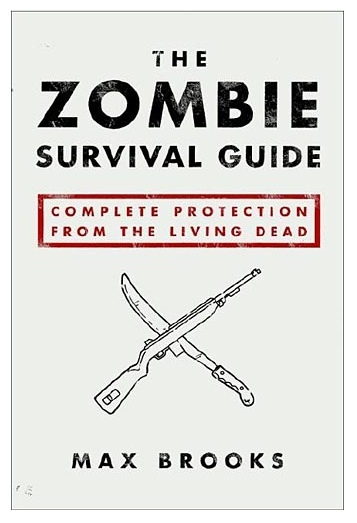 There is not much in your cadre of zombie preparation equipment that you will find as handy to have around as a couple of good carabiners. Carabiners are traditional tools used in rock climbing to suspend climbers via slings from various forms of bolts in rock walls. These devices are incredibly lightweight and incredibly strong. You can use them for anything from hanging a food bag from a tree to keep wildlife out of it, to hanging a makeshift tarp tent, to hanging your water bottle off of your backpack. It’s important to get lightweight ‘biners, but make sure you do get “climb spec” equipment. There are plenty of cheap aluminum “non-climbing rated” options out there that will fall apart if you put any weight at all on them. 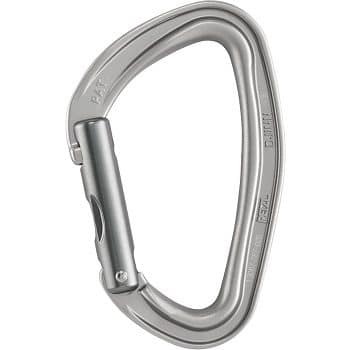 This is the most basic variety of climbing rated carabiner. On the weak axis they are rated to 8kN (that’s 17,636lbs of force) and work great for anything you may need a quick clip to handle. Not to mention the fact that if you did need to do any climbing, you’d have at least one piece of equipment on hand you could depend on without question. The fewer variables you have in those kinds of situations, the better. The Djinn weighs in at a whopping 45 grams (or 1.58 ounces) and so adding a couple of these to your kit won’t slow you down in the slightest. Trust me, when the time comes you’ll be glad you have them.